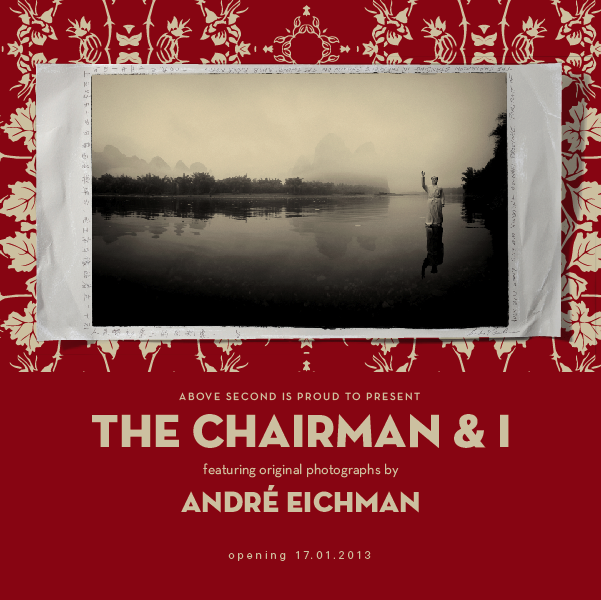 We are looking forward to André Eichman’s coming launch at Above Second gallery! You may or may not have come across his works which are very humanity based. If you haven’t, do visit his website (www. andréeichman.com), to see why you should check out the exhibition next week. Andre has many projects and books under his belt, and has also been featured in magazines such as the Royal Geographic, Vogue, Wonderlust, to name a few. Entitled “The Chairman and I”, the show will feature the photographer’s experience with the Chinese people’s relationship with Chairman Mao. This relationship is pictured by how each person holds or interacts with a mini Mao statue. Clever idea, as he is able to capture and share the different reactions of people towards this man considered one of the most influential in Chinese history. Posted on January 11, 2013 by ChalkandRaddyPosted in Visual ArtTagged Above Second, Andre Eichman, fine art photography hong kong, Hong Kong Art.